Sorry for the lack of updates lately! I was tied down with work, busy busy busy! I wonder how some full-time working bloggers juggle their time between their blog, work and life! Whenever I reach home after work, my pillow is the first thing I smell! Yes, I sleep flat on my stomach most of the time. That aside, I was loaned a Pandora bracelet for two weeks, thanks to Pandora and Crowd. 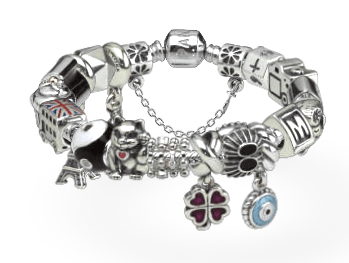 I get to pick a few charms from Pandora’s newest and upcoming collections! 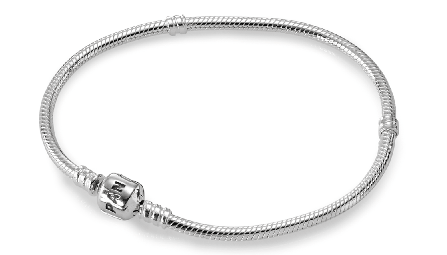 Pandora are iconic for their charm bracelets. 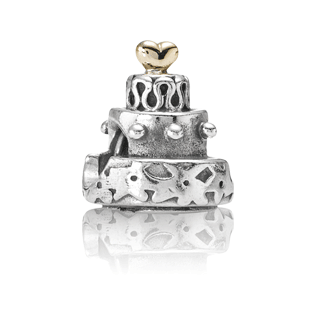 With a wealth of charms to choose from, you get to combine to create your own style! Ain’t it cool to be able to express your own personal style? I have picked the basic silver Collier bracelet that retails at SGD$124. Regardless of whether you have narrow or thicker wrists, fear not, the silver Collier bracelet comes in a few sizes (16-23cm). My most favourite pieces have to be the National Icons charm, that were just launched this September. The few Nation Icons I chose were London’s majestic big ben clock tower, iconic blue and red London bus and the statue of liberty, new york’s enduring symbol of freedom. 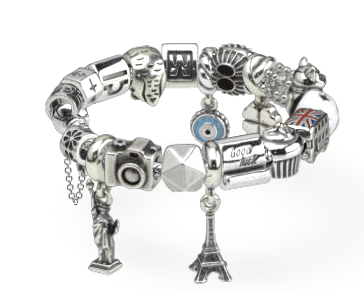 Pandora’s global travel icon charm collection immortalises some of the world’s most recognizable landmarks in sterling silver.Pandora’s travel charms capture and keep alive your special travel moments, allowing you to carry them with you and cherish for years to come. 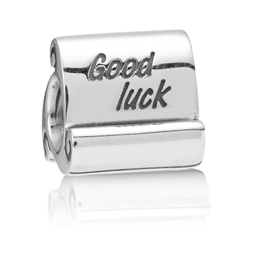 add them to existing travel-inspired charms such as a dinky jet, camera or a suitcase, or conceptualize your collection with charms that relate to your heritage or preferred destination. Whatever you choose, you create the design to tell your story. The charms that are in the permanent collection in this picture include the birthday cake, good luck, and evil eye charm! Birthday cake: Well, my birthday is coming soon! 17th October to be exact. In addition to that, my dream is to open my own cafe that sells…you’ve guessed it! Cakes! Evil eye: What goes around, comes around. I believe in karma and hence the evil eye. The evil eye is a look that is believed by many to be able to cause bad luck for the person at whom it is directed for reasons of envy or dislike. Being a Libra, everything must be of a balance to me. Doesn’t all these charms fit perfectly with the Nation Icons charms? 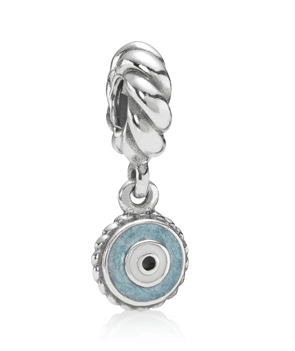 This bejeweled charm is from the Christmas collection that will be coming out in the later quarter of the year. So now, here is a sneak peek! Beside silver, there are other colours such as pink and blues. With arm accessories getting more popular in the fashion world today (heard of arm swag and arm parties? ), you can definitely layer on more arm candies together with your pandora bracelet. Here, I layered it with an adjustable double skull headed bracelet (gifted by ACAP). Beside bracelets, Pandora also carries earrings, necklaces and even watches! Pandora Magazine also keep you updated with the new releases to their line. 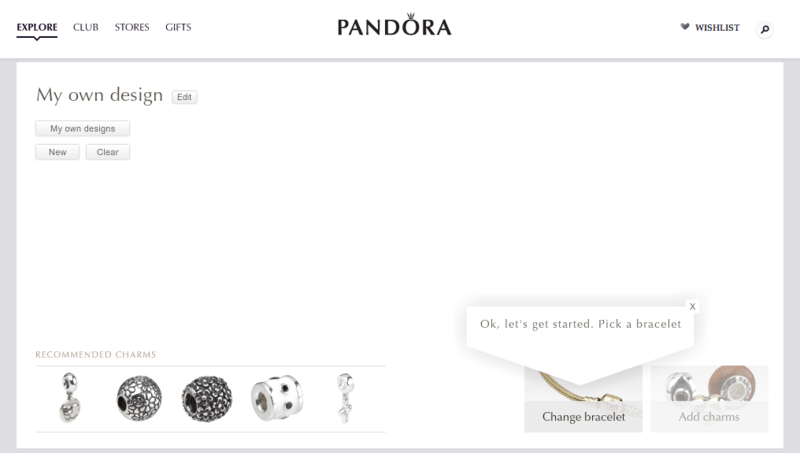 What I find coolest, is the Pandora bracelet designer applicaiton where you can build your own virtual Pandora bracelets with their charms. Do share yours with me!